A first step in what's considered the largest transfer of land from a private inholding to U.S. Forest Service-managed wilderness happened Friday when 4,463 acres went from Shee Atiká Corp. to the Admiralty Island National Monument. That's about 20 percent of the total 22,000-acre purchase in Cube Cove on Admiralty, the seventh-largest island in the country. Most of Admiralty Island's 955,000 acres is monument land. The $3.9 million purchase was funded through the congressionally designated Land and Water Conservation Fund. "Remaining segments will be purchased over the next few years as funding becomes available," said James King, the director of recreation, lands and minerals for the Alaska Region of the Forest Service. Cube Cove, some 30 miles south of Juneau, is an inholding within the Admiralty Island National Monument and part of the Kootznoowoo Wilderness Area. Shee Atiká is a Sitka-based Native corporation organized under terms of the Alaska Native Claims Settlement Act. Cube Cove lands were conveyed to Shee Atiká in the early 1980s and were heavily logged from 1984 to 2002. K.J. Metcalf, president of Friends of Admiralty Island, describes the Shee Atiká land as drainages containing three lakes and "some of the finest brown bear habitat on the island. "Having these thousands of acres of logged lands become a part of this protected wilderness and national monument is an investment in the future. It will require over 100 years for these logged lands to regain their value as a part of a productive ecosystem, but eventually they will … make Admiralty Island a more-complete reserve that is indeed unique in the world." Metcalf said he was a frequent visitor to that section of Admiralty before logging began. "It's substantially harmed," he said. 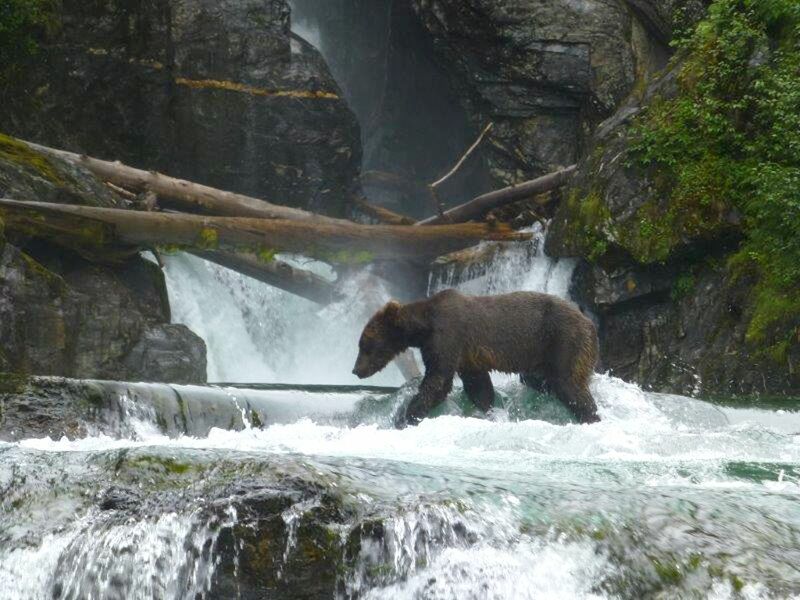 "Some of the largest bears on Admiralty have come off that acreage before logging began." The Alaska Region of the Forest Service manages nearly 22 million acres of land within the Chugach and Tongass National Forests.